Our goal is to connect people with the best local experts. 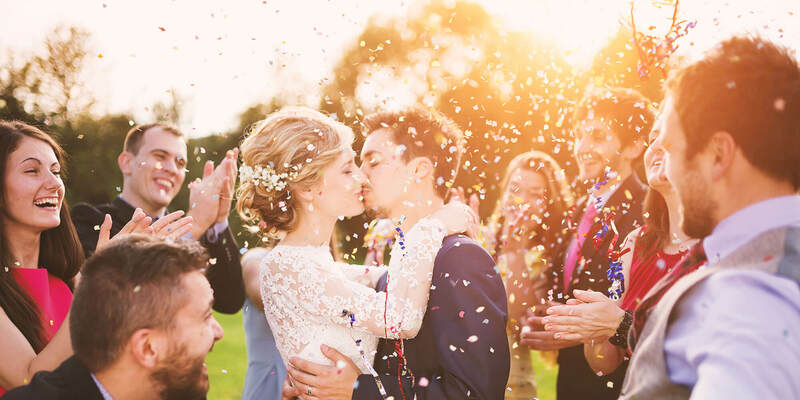 We scored wedding photographers on more than 25 variables across five categories, and analysed the results to give you a hand-picked list of the best wedding photographers in Columbus, OH. 222 Photography, in the Columbus area, shoots weddings at private or public locations. They send two photographers to your wedding, allowing you to get two different perspectives of your big day. As well as wedding photos, 222 Photography also specializes in senior photos and portraits. Amy Rebecca Photography, a Columbus, Ohio-based wedding photographer, was the Knot's Best of Wedding Pick every year from 2011 through 2015. She is also in The Knot's Best of Weddings Hall of Fame. Teamed up with her husband Max, Amy will photograph your wedding from two different perspectives. Andrew + Chrissy Photography specializes in wedding photography in Columbus, Ohio. There are two photographers in this company, offering complete coverage of your special day. Andrew + Chrissy Photography also specializes in senior photos. Asteria Photography is a wedding, engagement, and portrait studio in Columbus, Ohio. The lead photographer's high-quality work has been featured in The Knot, Woman Getting Married, The Celebration Society, Wedding Lovely, Offbeat Bride, Pretty and Inked, Elegant Weddings, Nordstrom.com, Charleston Weddings, and A Low Country Wedding. She has also had an image featured on HGTV's Caribbean Life. Barefeet Studio is a Columbus, Ohio wedding photography studio made up of two photographers. Their documentary style allows them to use their photos to tell the story of your big day to cherish forever. They don't believe in the overly-stiff wedding poses and go for more of a natural approach. Brett Loves Elle Photography is a husband and wife team who use a photojournalistic style to shoot weddings. Their specialty is wedding and engagement photos. They offer their services in Columbus and beyond, and will even travel for destination weddings. Bryan Surgener Photography's method of photography is through storytelling, using the raw, natural moments of your wedding day. The owner, Bryan, has his company based in Columbus, Ohio, but will travel anywhere in the world to photograph your big day. Based in Columbus, Ohio, Dan has shot in Europe, Mexico, New Zealand, NYC, LA, Las Vegas, and Alaska, and has had work featured in Columbus Weddings, (614) Magazine, Columbus Alive, and several European publications. His experience in a wide range of creative environments ensures the images telling clients' stories are unique, emotive, and timeless. Derk's Works is a wedding photography company based in Ohio. Their team is made up of three people, allowing them to capture totally different perspectives of your wedding. Derk's Works will photograph your wedding in the Ohio area as well as destination weddings. Doug Melvin Photography, Video & Photobooth LLC offers all of the photo services needed for your wedding. Doug and his team can photograph the event and create a video of the big day. To add a bit of fun for your guests at your reception, they offer photo booth rentals. Doug is a member of the Professional Photographers of Ohio (PPO) and is an active member of the Professional Photographers of America. ENV Photography is led by an Ohio wedding photographer that photographs local and destination weddings around the world. ENV Photography is a multiple-time winner of the WeddingWire Couple's Choice Award, has been published and featured several times in the Huffington Post, and was also featured in How He Asked. The Exact Moments Photography is a Columbus wedding photography studio. This team specializes in artistic, classic, lifestyle, and documentary styles of photo and video. They shoot bride portraits, engagement photos, and rehearsal dinners. A second photographer is always available, proving an extra perspective of the big day. They come highly recommended by The Knot. Jessica Abbey Photography is an Ohio photographer who earned her photography degree from Ohio University and has been working professionally in the field since 2006. She shoots weddings with her second photographer, giving you photos from multiple perspectives. The studio also specializes in child, family, and senior photos. Justina Roberts Photography specializes in Columbus wedding and portrait photography. Justina takes pride in creating beautiful work for her clients that they'll always cherish. She is available to travel for both local, domestic, and international destination weddings. Full-day wedding coverage starts at $1.695. Kellogg Photography is an Ohio-based photography studio that specializes in weddings and senior portraits. The owner, Brian Kellogg, graduated from Ohio University with a Bachelor's Degree in Commercial Photography. He has photographed local weddings in Ohio, as well as destination weddings in Maui, Hawaii, Barcelona, Mexico, Miami, and San Francisco. Muschlitz Photography LLC is a wedding and portrait photography company based out of Ohio. The photographer spends less time staging posed images and more time taking candid photos so that clients can spend their time enjoying their big day. Open Image Studio specializes in wedding and portrait photography in the Columbus area. The studio is made up of 4 professional photographers. More than one photographer is present at events, giving you two totally different perspectives of your wedding day. Open Image Studio received Wedding Wire's Bride's Choice Award in 2011 and was The Knot's Best of Weddings 2012 pick. Picture Bliss Photography is the studio of second generation wedding photographer, Kristin Bliss, serving the Columbus area and beyond. The studio offers personalized wedding packages and special options for destination weddings to locations including Africa, Asia, Europe, South and Central America, Canada, Bahamas, Hawaii, and across the United States. Customers reported “takes her time to get the perfect shot,” “made us feel so special and important,” and “went the extra mile to get amazing photos.” Picture Bliss Photography earned The Knot Best of Weddings award for 2015. Robb McCormick is a Columbus wedding photographer who also specializes in corporate photography. His studio was The Knot's Best of Weddings 2013, 2014, and 2015 award winner. The studio also received Wedding Wire's Couples' Choice Award in 2015 and has been featured in How He Asked. Sarah Gee Photography is a boutique wedding and family photographer based in Columbus, Ohio. Company owner, Sarah, has done many local weddings but is also willing to travel for a destination wedding. She has shot weddings in Guatemala, San Lucia, Florida, Chicago, and all over the Midwest. Her first wedding she photographed was nearly ten years ago, and she has been shooting ever since. Starling Studio is based in Westerville and specializes in wedding photography. Tessa, the head photographer, has a bachelor's degree in photojournalism. Her photographs have been featured in several publications, including Columbus Crave, Columbus Alive, Columbus Monthly, and Capital Style. She combines her background in photojournalism and experience in fashion to create amazing wedding photos. Susie Marie Photography Inc. is led by a wedding photographer in New Albany, Ohio, who specializes in using natural lighting, but is versatile enough for any situation. The studio books weddings 6-18 months in advance and is happy to travel for destination weddings. The Jacksons is a wedding photography company based out of Columbus with a passion for photographing love stories. They serve weddings in Ohio and travel to destination weddings. They have photographed weddings in Washington, Minnesota, Indiana, Massachusetts, New York, Maryland, Alabama, Florida, and Alberta, Canada. Two Maries Photography, based out of Columbus, Ohio, takes pride in being able to capture the true emotions of weddings. They start by photographing the engagement and move on to the wedding. They will also help you with your photography location and timeline planning. Victoria Schafer Photography specializes in weddings in the Columbus, Ohio area. She also specializes in engagements, families, seniors, sports, and clubs. She uses candid shots as well as directed ones, to capture a true view of your special day. Wes Mosley Photography specializes in wedding, engagement, and lifestyle photos. The owner, Wes, will take both candid shots and posed shots, giving you the ability to see the day as it unfolded with his photos. The studio is based in Central Ohio, but Wes is willing to travel all over Ohio to shoot your big day.